The lead industry will no longer need to rely on contracts and middle-men to sell them a package of leads, according to Los Angeles-based programmatic advertising company MediaAlpha. 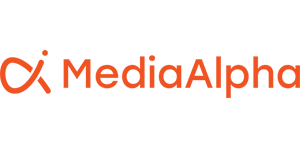 The company’s platform, MediaAlpha for Advertisers, enables media buyers to buy leads in real-time on a self-service, automated basis, with full transparency and control. MediaAlpha’s platform was initially deployed to modernize lead buying in the auto insurance industry, and the company has now successfully expanded into health and life insurance, travel, personal finance, mortgage, and home services. Lead buying is a massive $10 billion industry that is still very flawed and antiquated. The industry is highly inefficient and lead buyers must content with wasted time and advertising dollars. Because the marketplace is highly competitive, lead buyers have grown more sophisticated and are now seeking highly targeted audiences, yet the lead buying ecosystem prohibits buyers from doing so. They do not have the ability to buy what and how they want. With programmatic technology, control is put back into the hands of buyers giving them granular controls to define exactly the time, audiences and prices they want to pay for leads. MediaAlpha’s technology completely transforms how leads are bought and sold. How will this help brands? Brands seek specific audiences for their products. Traditional lead buying makes it difficult for brands to pick and choose which leads they purchase. So they buy a group of leads, not knowing what they will get, and try to estimate a fair price to pay for the bundle in anticipation of the value they will receive from a certain percentage of those leads. With programmatic buying, brands are empowered to buy the exact audiences they want and pay a price that coincides with the true value of each lead, not a bundle consisting of different audiences and quality. How will this bring the “lead industry out of the stone age”? Before now the lead industry had to rely on contracts and middle-men to sell them a package of leads. Insurance companies, hotels, and others, had no idea how many of the leads were viable and within their target. It was horribly antiquated, inefficient and in the hands of lead sellers. If you are buying leads to send to your sales team or call center, you don’t want a package of leads that may or may not have high quality leads or mess with static contracts and constant negotiation, you want to pick what you buy and pay according to their value. Now with MediaAlpha, brands can do this. Lead-buying is finally having its day in the innovation sun. With programmatic buying platforms, the days of sitting on the sidelines while media with ineffective ROI gets all of the technology are over. This article appeared in Diverge, the online destination for the new direction of advertising, communications, media, and marketing.